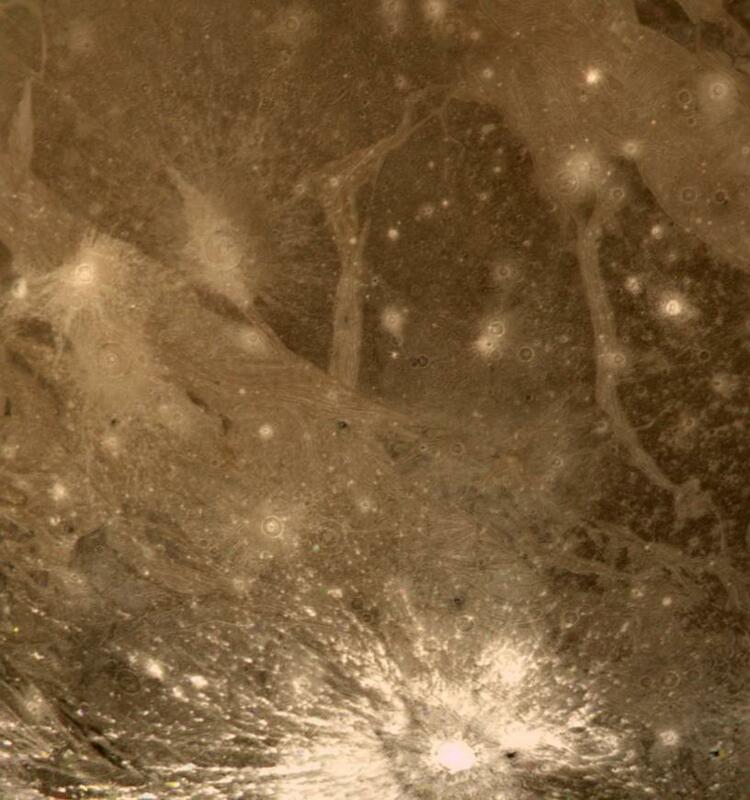 This color picture of Ganymede in the region 30 S 180 W shows features as small as 6 kilometers (3.7 miles) across. 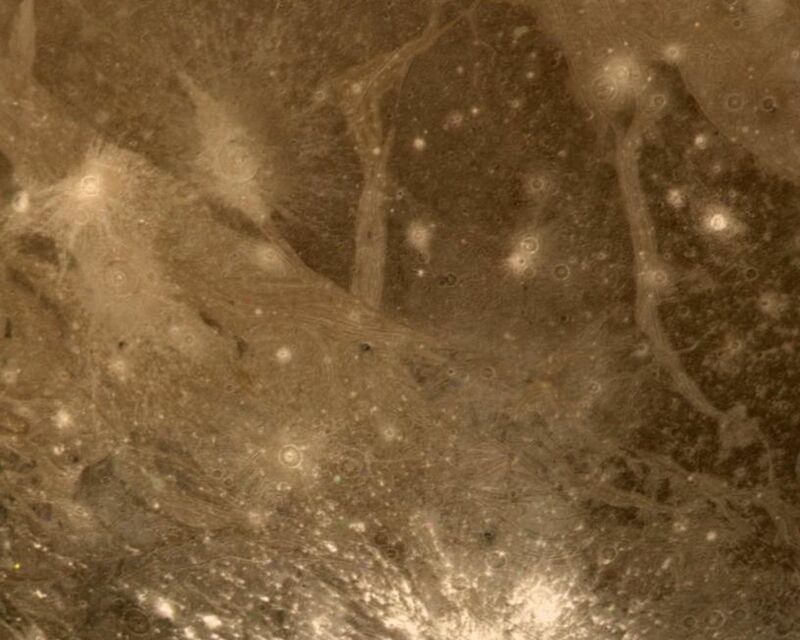 Shown is a bright halo impact crater that shows the fresh material thrown out of the crater. 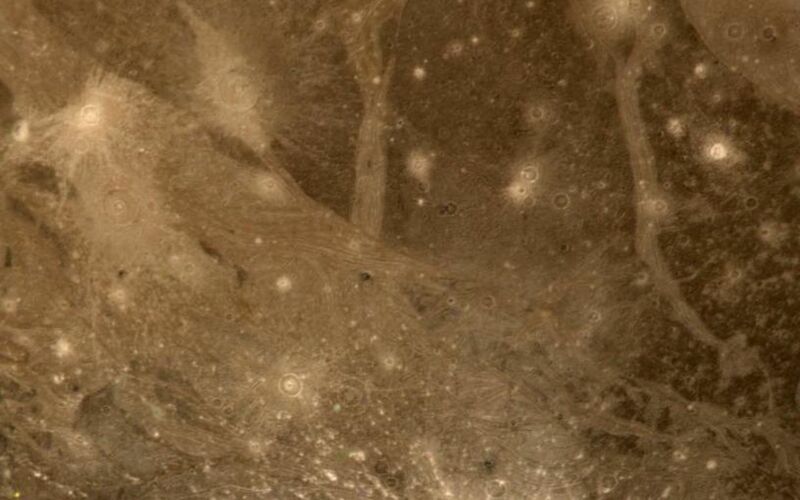 In the background is bright grooved terrain that may be the result of shearing of the surface materials along fault planes. 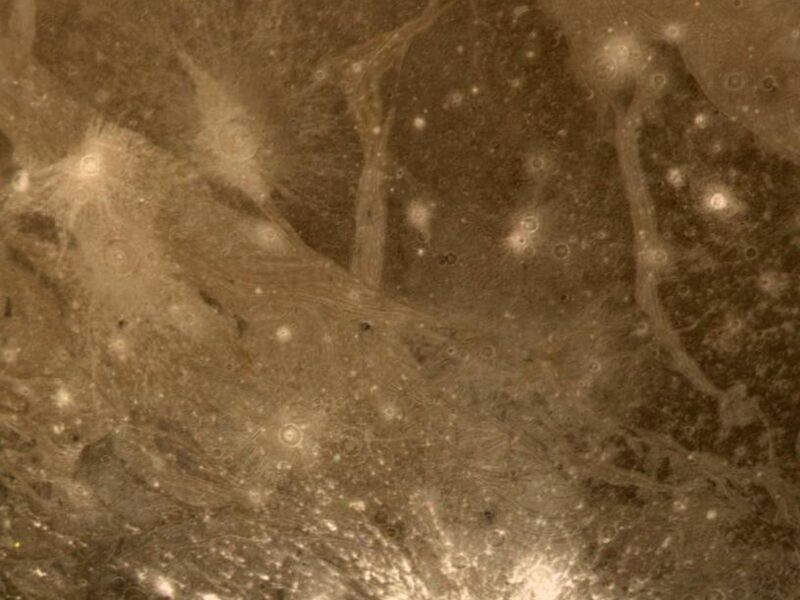 The dark background material is the ancient heavily cratered terrain -- the oldest material preserved on the Ganymede surface.